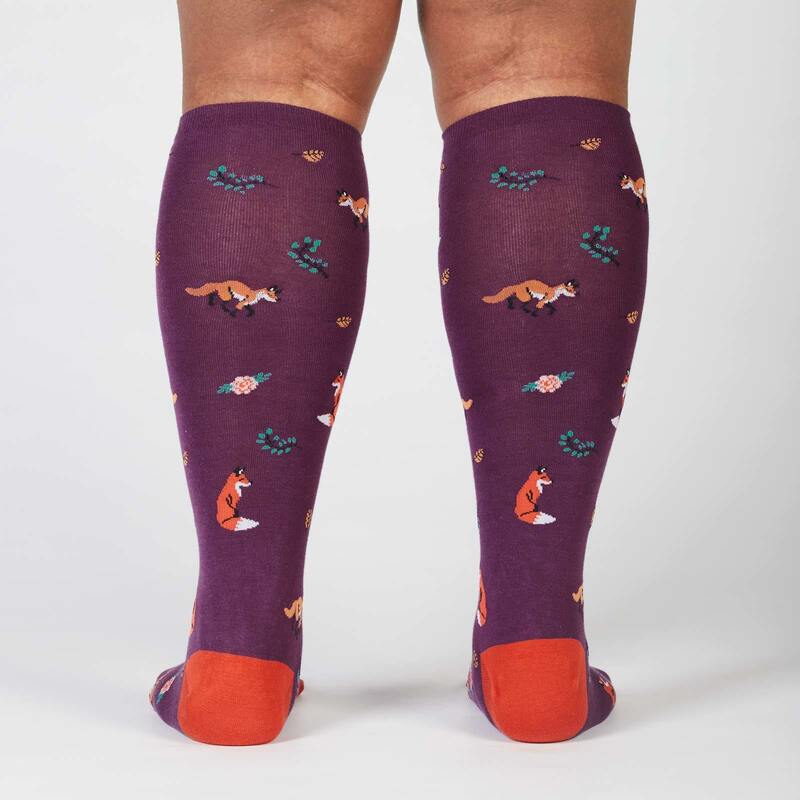 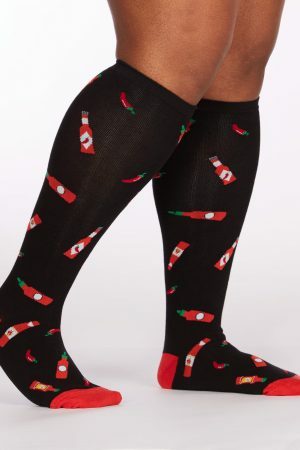 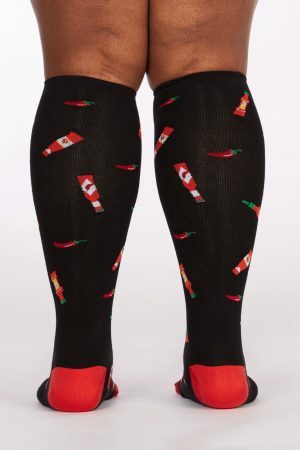 We’ve harnessed their cunning and stealth and present it to you now on this foxy knee high sock. 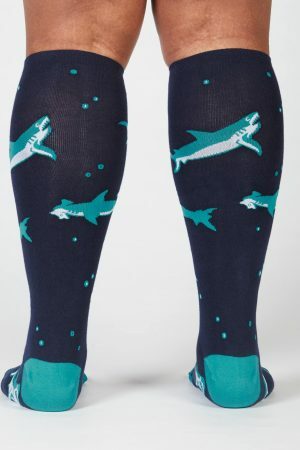 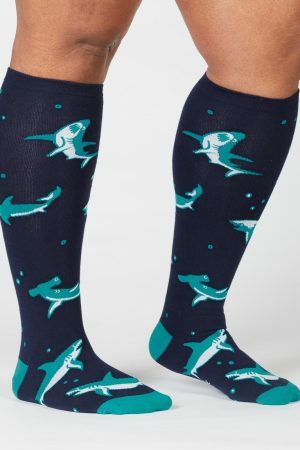 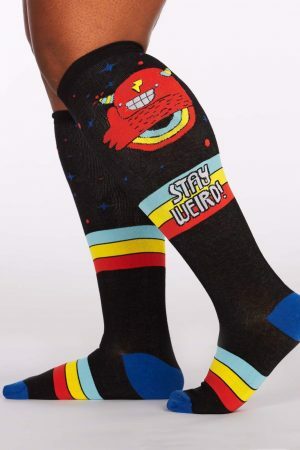 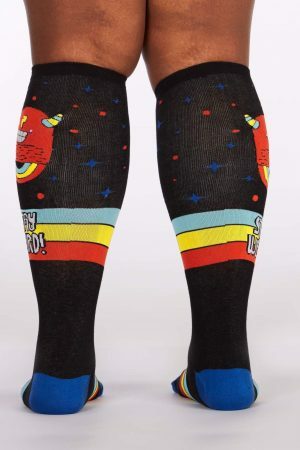 and developed a way to create their awesome designs on stretchier socks. 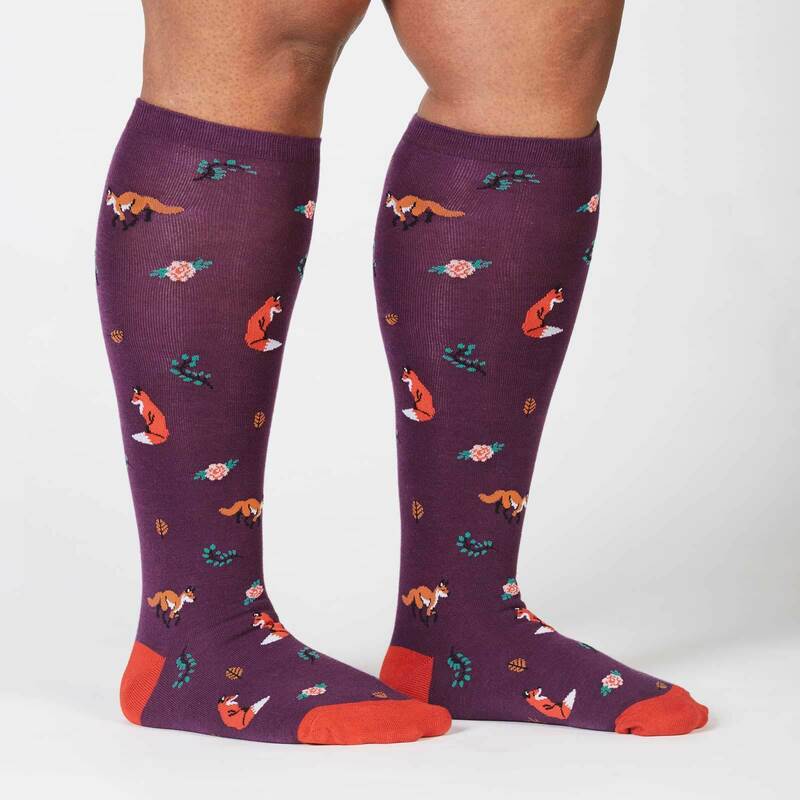 Fiber content: 61% cotton, 35% polyester, 4% spandex.